For many Irish Americans, the watching of John Ford’s ‘The Quiet Man” is as much a part of the tradition of St. Patrick’s Day as Frank Capra’s “It’s a Wonderful Life” is a part of Christmas. Both movies, depict an idealized time and place that was much simpler than today, or in fact ever was, but the basic themes of the importance of values and friendship still speak to us. Not to be overlooked in our enjoyment of “The Quiet Man” is the very complex man who gave us this movie, Irish American John Ford. John Ford entered into a career in film after following his older brother Francis, (who was the first to take the stage name of “Ford”) an already established actor and director of silent films, to California in 1914. He began a three year apprenticeship where he learned his craft through being an assistant, handyman, stuntman and occasionally an actor. In 1917 he was given his first film as a director “The Tornado” a film in which he also starred. Per Ford, Head of Universal Studios Carl Laemmle gave him the job of director with the recommendation “Give Jack Ford the job—he yells good”. It is unlikely that Mr. Laemmle realized at the time that this 23 year old young man who “yells good” would go onto to make over 140 films and win six Academy Awards. 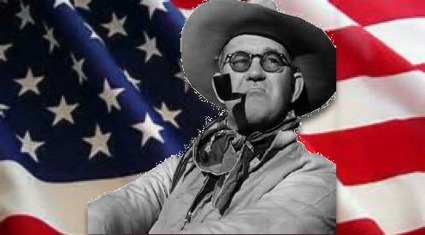 Ford’s first film would also set the themes for the movies John Ford is most associated with: the West and the Irish. The film was a western where Ford himself played a cowboy who earns a $5,000 reward, which he sends to his mother in Ireland so she can keep the family home. Ford was a pioneer in location shooting and the “long shot” where his characters are framed against a vast natural terrain such as Monument Valley, Utah, an area still called “John Ford Country”. However, perhaps an even greater trademark of Ford is the inclusion of Irish American values in his films: Duty, Loyalty, Family and the commitment to the values of one’s heritage within a bigger and sometimes hostile society. These are themes that are to be seen whether the subject matter was a coal mining town in Wales in “How Green was my Valley”, as isolated western cavalry post in “Fort Apache”, the struggles of an old time party machine politician whose world is changing in “The Last Hurrah” or Ireland during the Black and Tan wars in “The Informer.” Many of Ford’s films are filled with Irish immigrants who are willing to sacrifice themselves so that future generations may advance up the social ladder, however never at the sacrifice of their cultural identity. Ford also brought a sympathetic, and revolutionary for his time, view to the challenges of other minority groups including African Americans and Native Americans. Even in his Academy award winning film “The Grapes of Wrath” concerning Oklahoma farmers forced to leave their farms during the Great Depression, Ford saw parallels to Ireland’s Great Hunger. Ford lived the values of loyalty and family off the screen; Ford and his actors bonded in an extended family (sometimes called The John Ford Stock Company) that he used again and again is his pictures; more than a few actors whom other directors rejected thinking their marquee value had passed could always find work with John Ford. Another theme embraced by Ford not only in film, but his personal life was that there was no conflict between being proud of one’s heritage and patriotism to ones county. At the outbreak of WW II, John Ford joined the United State Navy where his talents as a Director were used to make morale boosting documentaries, two of which earned Academy Awards. Ford was present on Omaha Beach on D-Day, landing himself with a team of Coast Guard Cameramen filming the landing while under fire themselves. In addition to being cited for bravery, John Ford eventually attained the rank of Rear Admiral. In the tumultuous days following the bombing of Pearl Harbor, young men whom would later be called “America’s Greatest Generation” streamed into recruiting offices across the country eager to defend their country. Even amongst the hundreds of new recruits streaming in, one must suspect that the recruiting officer as the Des Moines Naval Recruiting Station must have been taken aback on January 3, 1942 when before him stood five brothers who had come to enlist in the U.S. Navy, but with the stipulation that they would not be split up, but would “stick together”. George, Francis, Joseph, Madison and Albert Sullivan were born to an Irish- American family of seven children (one sister dying in infancy) in Waterloo, Iowa. News of their friend William Ball’s death aboard the USS Arizona at Pearl Harbor prompted them to enlist in the U.S. Navy. George and Francis Sullivan had only recently been discharged from the U.S. Navy less than a year before, having served together on the USS Hovey. The U.S. Navy discouraged siblings serving together, however George had written a letter to the Secretary of the Navy, citing his own and Francis’ recent service and asking if he and his brothers could “stick together”. George Sullivan closed with the phrase “We will make a team together that can’t be beat.” The Secretary of the Navy granted the request. After training, the Sullivan’s were assigned to the newly christened light cruiser USS. Juneau. In November of 1942, U.S. and Japanese forces were locked in the deadly struggle for Guadalcanal, with both sides putting forth a maximum effort to take control of the Islands. Shortly after Midnight on the 13 of November occurred one of the most dramatic naval engagements of the war in straight between Guadalcanal and Florida Island as American and Japanese naval tasks forces engaged each other at point blank range. The Juneau was an early casualty, hit by a Japanese torpedo that buckled her deck, destroying her fire control systems and knocking out power. She limped away from the battle, but was able to rejoin her task force at dawn, where unfortunately a Japanese torpedo intended for the USS San Francisco struck the Juneau in her magazine and blew the ship in half. Because of the risk of further enemy action, the remaining U.S. ships did not search for survivors, the commander of the task force believing that no one could have survived the blast. He did ask that a reconnaissance plan in the area report the ships location, which it did, but the message was lost and rescue efforts did not begin for several days. Francis, Joseph and Madison were killed in the initial attack and Albert drowned during the second attack. 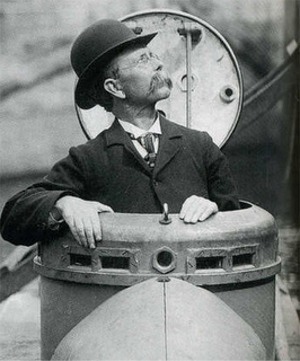 George was one of 80 men who made it to life rafts, but who would die a few days later from shock, exposure or sharks. Subsequently only 10 men from the Juneau would be rescued. The sacrifice and devotion of the Sullivan Brothers touched the hearts of the American people with an out pouring of grief and sympathy. 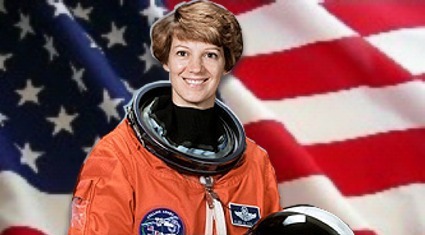 Franklin Roosevelt sent a personal letter of condolence to their parents, Pope Pius XII sent a silver religious medal and rosary with his message of regret and the Iowa Senate and House adopted a formal resolution of tribute to the Sullivan brothers. In continuing the family tradition of duty and devotion, their parent made speaking trips across the nation despite their grief and advancing years. Their sole surviving sibling Genevieve later enlisted in the Waves. Hollywood later remembered them directly in the file “The Fighting Sullivans” and as one of the inspirations for “Saving Private Ryan”. 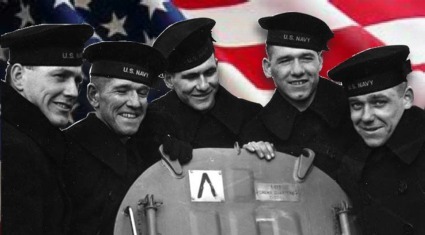 The Sullivan brothers were and are remembered by the Navy by the christening of the destroyer USS The Sullivans in 1943 by their mother, the first time a U.S. Navy ship was named after more than one individual. Albert’s son James would later serve aboard the ship named for his father and uncles. The ship would earn 9 battle stars for WW II and 2 in Korea before she was decommissioned in 1965. However, the Navy accorded the Sullivan brothers and their sacrifice the honor of naming a second ship USS The Sullivans, a modern Aegis class destroyer still on active service. Both ships adopted the Sullivan Brothers own motto “”We Stick Together””. The words and devotion to country and family of the Sullivans are well worth remembering by all Americans. Note: Several sources make mention of the tragedy of the Sullivans as being the cause for enactment of “The Sullivan Act” or “The Sullivan Law” that bans siblings from serving together. This is a misconception, “The Sullivan Act” is a piece of NY State legislation passed in 1911 and named for its sponsor Timothy Sullivan. It is one of the oldest gun control laws in the United States and regulates the carrying of concealed weapons; it has nothing to do with The Sullivans or the service of siblings in the U.S. Armed Forces. While the armed forces strongly discourage siblings serving in the same unit and councils against it, there is no law that bans siblings serving together. Born in County Wexford in 1745, little is known of John Barry’s early life. His father was a poor Catholic tenant farmer who was evicted by his landlord, forcing the family to relocate to Rosslare. There Barry’s uncle was a captain of a fishing skiff, apparently imparting to young Barry a love of the sea. Barry signed on as a cabin boy at an early age and must have shown great aptitude as a seaman; he obtained his first command, The Barbadoes out of Philadelphia, at the age of 21. He quickly earned an impressive reputation as a ship’s master and was soon sought out by the leading merchants of Philadelphia. As captain of The Black Prince, Barry set the record for the fastest day of sailing ever recorded in the 18th century. When war with England appeared imminent in 1775, Barry immediately offered his services to the fledgling congress. 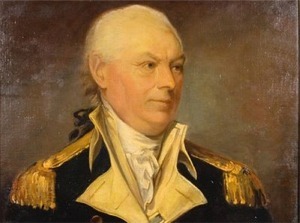 He was given the important task of outfitting merchantmen as the first Continental Navy Ships and readying them for sea. Among those converted was his own Black Prince, rechristened Alfred. It was aboard the Alfred that a Lt. John Paul Jones would be the first to hoist the flag of the new nation aboard a ship of the Continental Navy. Barry captured the most ships (prizes) of any captain during the revolution. After the Revolution, Barry would become the first commissioned officer of the United States Navy. It would be under his direction that the great frigates of the United States including the USS Constitution would be built. Under his tutelage, the great naval heroes who checked the most powerful navy in the world in the War of 1812 would be trained. Barry was also well known for his charity, supporting funds for the care of widows and orphans of sailors and a leading member of the Friendly Sons of St. Patrick. The paternity of the US Navy is often hotly debated. In fact, the U.S. Navy explicitly states that no one man can be the Father of the US Navy, this may be the only battle the Navy has ever shied from. The case of Barry and Jones both have merit, but if a father is someone who stands by and cares for their “child” until it is self sufficient, then certainly Barry has the better claim. Irrespective of titles, we must ensure that the patriotism and devotion of John Barry to his country is never eclipsed.